There’s something lurking in your life that’s keeping you from what you want. Norm Mulder knows what it is. Randy Leprevost knows, too. Do you know exactly what is preventing you from losing weight, changing your diet, managing your stress, improving your relationships, advancing in your career, and feeling happy most days? You know how to lace up your sneakers and run around the block. You know how to chop up veggies and make a salad. You know how to breathe deeply to center yourself and calm your mind. You know how to apologize to friends and negotiate a salary. You know how to smile and laugh. What is it that holds you back from the life you truly want? What holds you back from being the person you truly are and want to be? No matter your circumstances, you are the only entity standing in your way. Say it aloud: TOPUCU (toe-poo-koo, or ta-poo-koo if you’re from Cleveland). My friend and previous martial arts instructor, Randy Leprevost, owner of Gameface Expressions and partner of PowerKick Performance, introduced me to TOPUCU. He thought the concept might align with the messages here on The Be Well Place. See, knowing how to achieve your goals isn’t really the problem – it’s that action part that’s the problem. You know the short- and long-term consequences of not taking care of your body. But you don’t exercise and practice stress management consistently. You know that not keeping in touch with a friend can deteriorate the relationship. But you don’t pick up the phone. You know that not finishing your degree or applying for better jobs will keep you stuck with lower wages and longer hours. But you don’t spruce up your resume or purposefully network. If your inactivity is the only thing keeping you from a more fulfilled life, why don’t you just act? Randy was very gracious and connected me with the founder of TOPUCU, Norm Mulder. I was intrigued by Norm from the very start of our conversation. Norm’s story is truly inspiring. From serving his country in Vietnam to collecting garbage for a living, then working as a firefighter and paramedic, Norm has experienced many different facets of life. By the age of 30, Norm became very interested in personal development. He started listening to tape cassettes (remember those?!) and reading books on the subject to improve himself and his life. Norm owns a successful wealth management business and cultivates the lifestyle necessary to achieve his goals. That doesn’t mean he loves every minute of it, however. Norm bikes and lifts weights to take care of his health, but he admittedly hated it when he first started. “I was sore and felt so many muscles I hadn’t felt in a long time because I hadn’t used them,” he remembers. The discomfort of a workout didn’t stop him, though. He did it anyways because it made his body and mind feel good. Hence, “the only person you cheat is you” became Norm’s personal mantra. He shortened it to TOPYCY, but that didn’t spell anything speakable. However, in texting with his grandkids, he learned to substitute the letter “u” for the word “you.” Norm applied this convenient internet slang to his mantra, and TOPUCU was born. If you don’t finish, #TOPUCU. The Only Person U Cheat Is U. His wife is a marathon and half-marathon runner. She set out for an 8-mile run one day, and after about 6.5 miles found herself reciting, “If you don’t finish, TOPUCU.” Instead of calling it quits, she kept on running the full 8 miles. She came home from her run and reported this to Norm. “That stupid TOPUCU…” she said with half-appreciation, half-resentment. The phrase caught on as Norm told more people about his mental strategy. Around February and March of 2014, he decided to create a structured program to share with other people. The program launched on July 7, 2014. With 35 years of personal development experience, Norm continues to conduct his life based on seven basic principles. Norm teaches us that in order to let go of bad habits and support good habits, we need to change our routine. Essentially, we need to change what we do on a daily basis. Do we say we want to get in shape and run a 5k, but spend our evenings on the couch watching movies and eating junk? Do we want to save money for a down payment, but neglect to budget our spending properly? If we say we want something or want to be someone, but our actions are not lined up with our goals, we’ve encountered our first fundamental problem. Once we realize that our day-to-day actions are not aligned with our goals, the next step is to figure out what actions are necessary to achieve our goals. Now, everyone knows that if we eat less and workout more, we’ll lose weight, gain muscle, increase our cardio health, and decrease our overall health complications. But why don’t we do it? It all comes down to the right motivation strategy. There are different types of motivation. We can hire personal trainers to keep us on track and push us harder than we’d push ourselves alone. We can use urgency as a motivator (e.g., getting in shape before a vacation or wedding). We can use known negative health consequences as a motivator to do cardio regularly. We can use research studies on osteoporosis, dementia, and diabetes and motivating factors to change our diet. But what we really need is a universal motivator that will sustain us through all temptation and discomfort. We all have the same 24 hours in each day. Guess who reaches their goals faster? Guess who reaches their goals period? Norm and Randy are great examples of people who have discovered the motivational factor that keeps their engines roaring. They both have both thumbs in many delicious pies. They are well-spoken and charismatic, hard-working and inspirational, generous and self-sufficient. And they both use the principles that TOPUCU teaches. Norm and Randy prioritize personal development in their lives and it’s paid off. Every single person on this planet should consider their own personal improvement and work on living out their full potential. The Be Well Place is a friendly environment that provides inspiration, kicks-in-the-pants, and loving support. If you’re looking for something more structured, like a comprehensive personal development program, I highly recommend checking out TOPUCU. 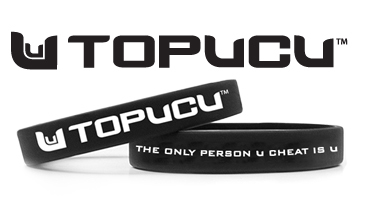 TOPUCU is very affordable and simple – totally my style. 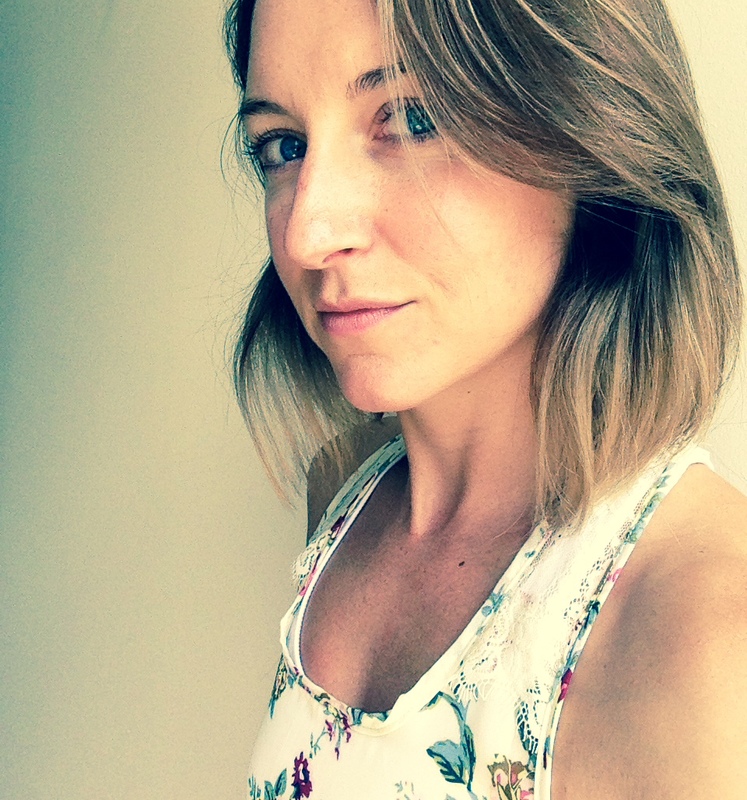 It cuts out all the fluff and gives you exactly what you need, which is an honest, straight-forward approach to valuing yourself enough to put in the time and energy needed to create the lifestyle you want. It’s so universal that Norm implements this program at a correctional facility to bring true and deep changes in the way incarcerated individuals make decisions. TOPUCU has proven effective in remediating the mentality of the inmates in order to develop responsible citizens upon reentry into society. Shoot, if TOPUCU can reconcile the mentality of inmates, empower them to choose whether they sink or swim, and give them confidence to start from scratch, imagine what it can do for you. Here at The Be Well Place, I love showcasing the awesome stuff people I know are doing for others and themselves. TOPUCU is definitely awesome stuff, and so I advocate for Norm’s mission. I’m hoppin’ on the TOPUCU train. Wanna join me?! For more information, visit topucu.com. Awesome as always, dear Rachael…Thank you for TOPUCU! Thank you Chris Mom! TOPUCU is so great – I’ve been reciting it in my mind since I first heard about it. I’m glad you like it, too!